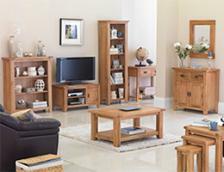 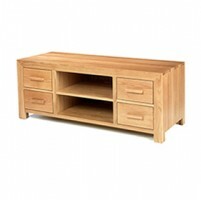 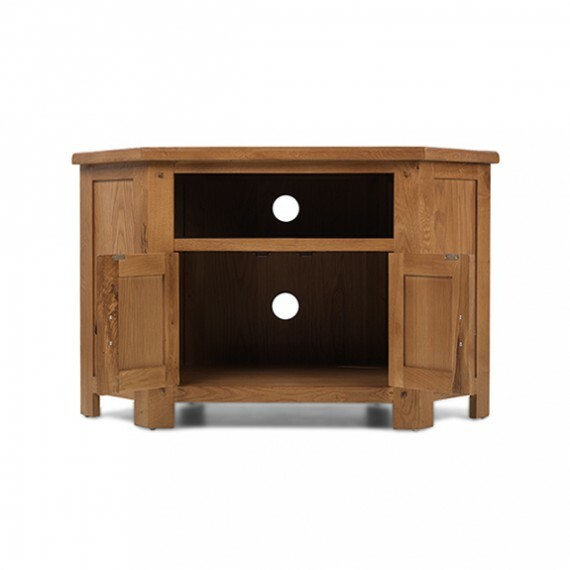 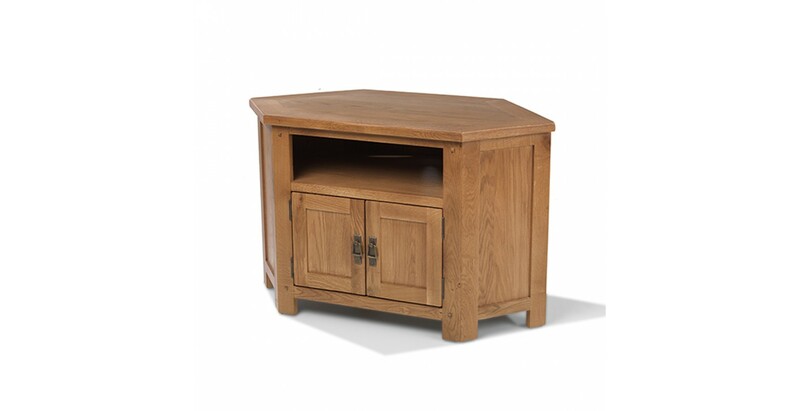 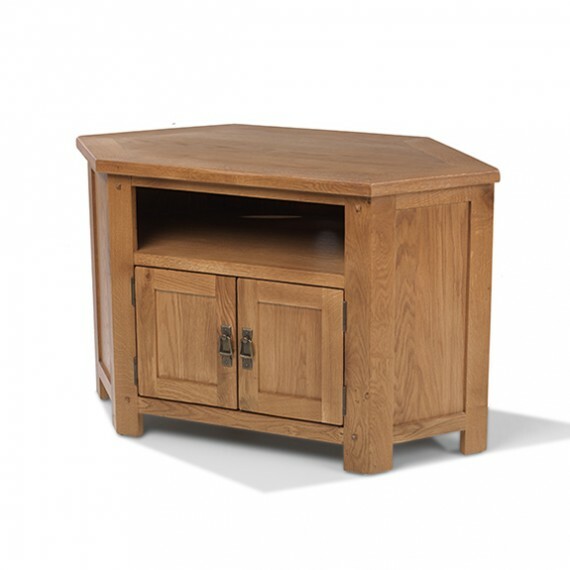 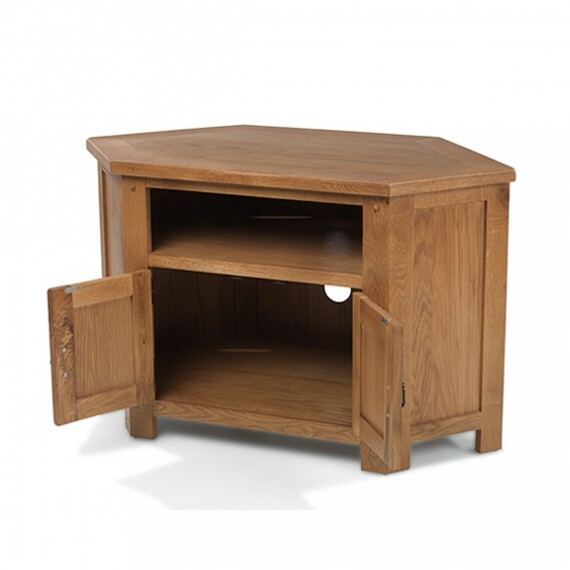 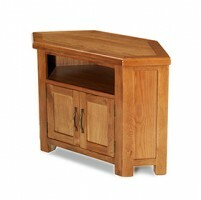 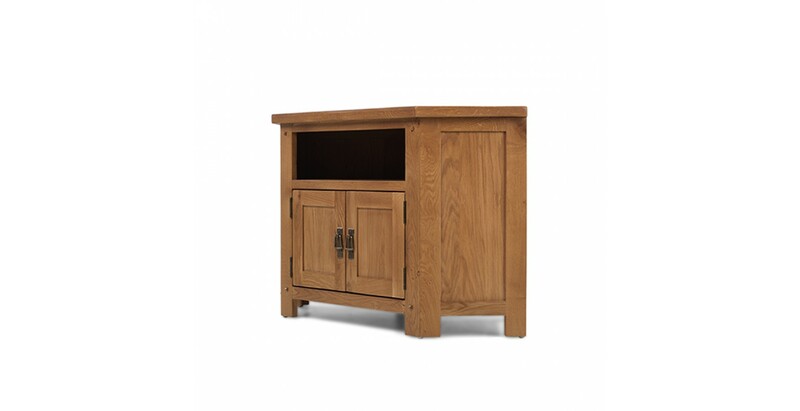 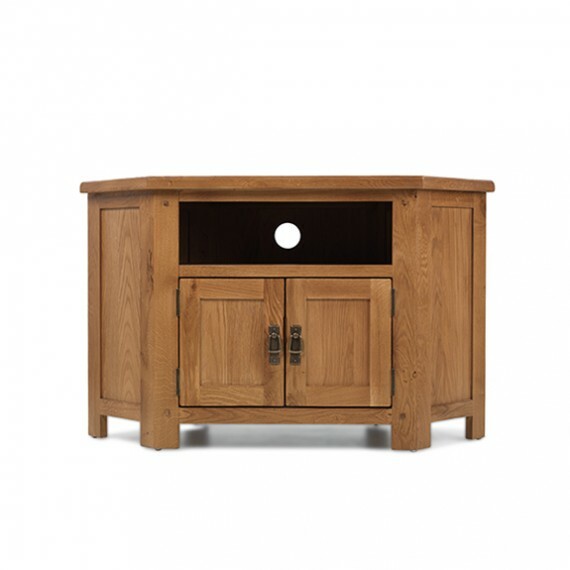 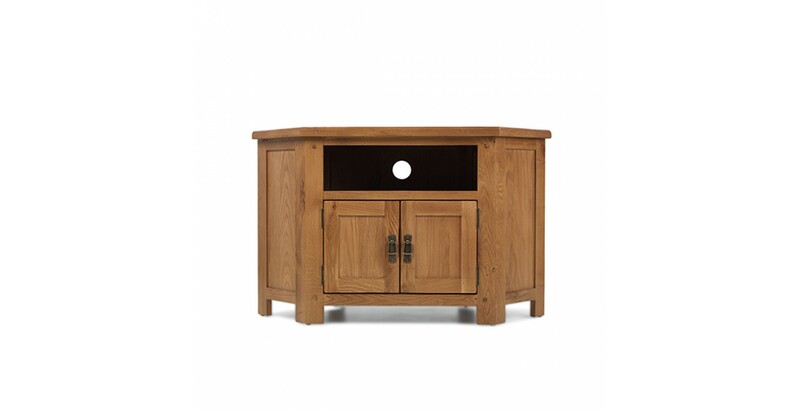 Designed to sit in the corner of your living room to save space yet still accommodate a large widescreen TV, this robustly crafted unit will add natural country-style warmth to your home too. 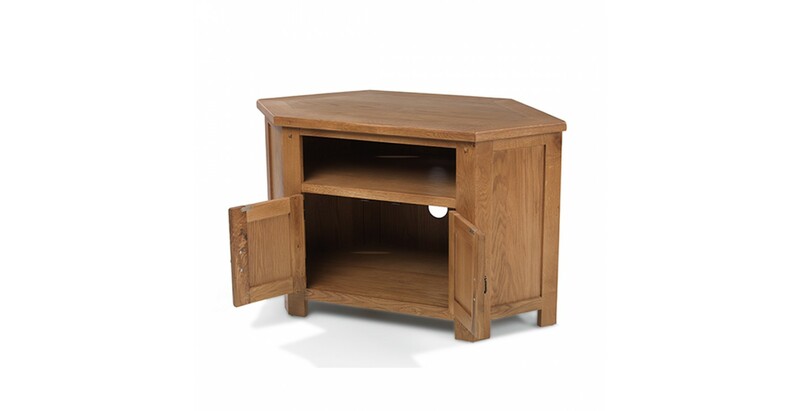 Made from chunky pieces of oak, with its distinctive grain shown off by a lacquer finish, it hasn't forgotten the practical side of things. 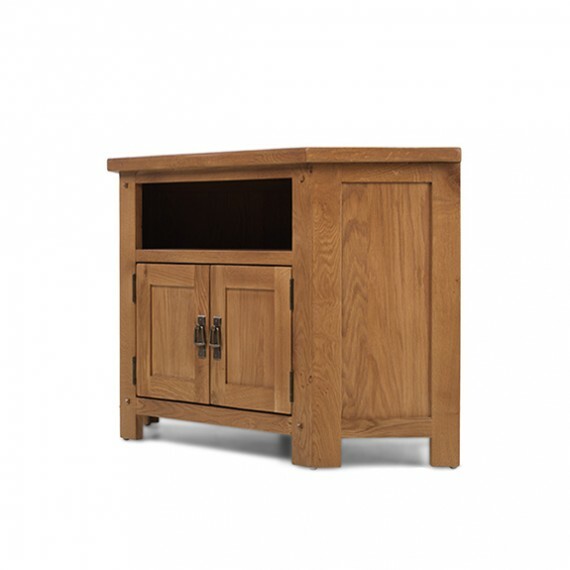 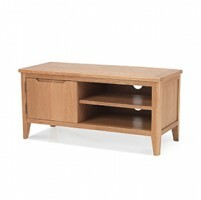 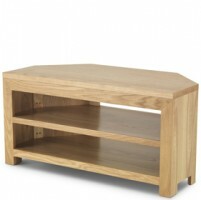 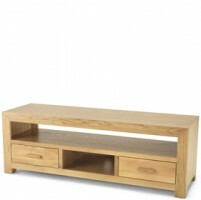 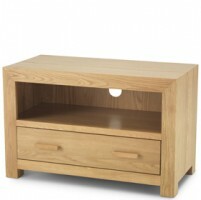 As well as a thick top to hold your TV, it has an open compartment for your digital receiver and a roomy cupboard for all your Box-sets or spare cables and the like. 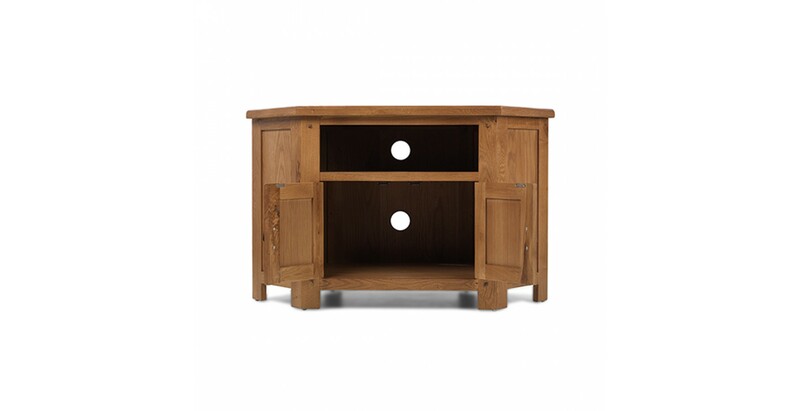 Cut-out sections at the back will keep unsightly cables neatly hidden away.